The dye was calling my name today. 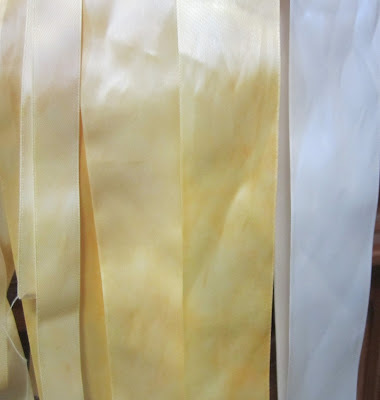 I've been buying Rit dye for at least a year and not doing anything with it. So I took a packet of sunny yellow a little bit of salt and 2 cups of water and 8 oz of ribbon. The ribbon sat in a measuring cup for 3 hrs. I kept stirring it every half hour. Afterwards I rinsed the ribbon out and then put it in clean water with salt. 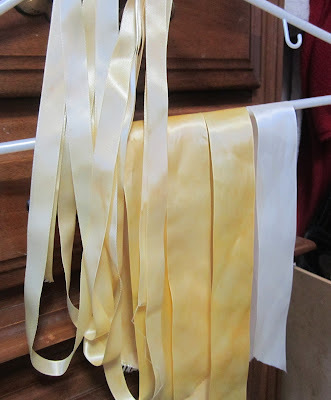 After rinsing the salt water out I let the ribbon dry and then ironed it. Dyed ribbon next to undyed. The ribbon came out a lovely golden yellow. Polyester doesn't take dye well so I am really pleased with the results. 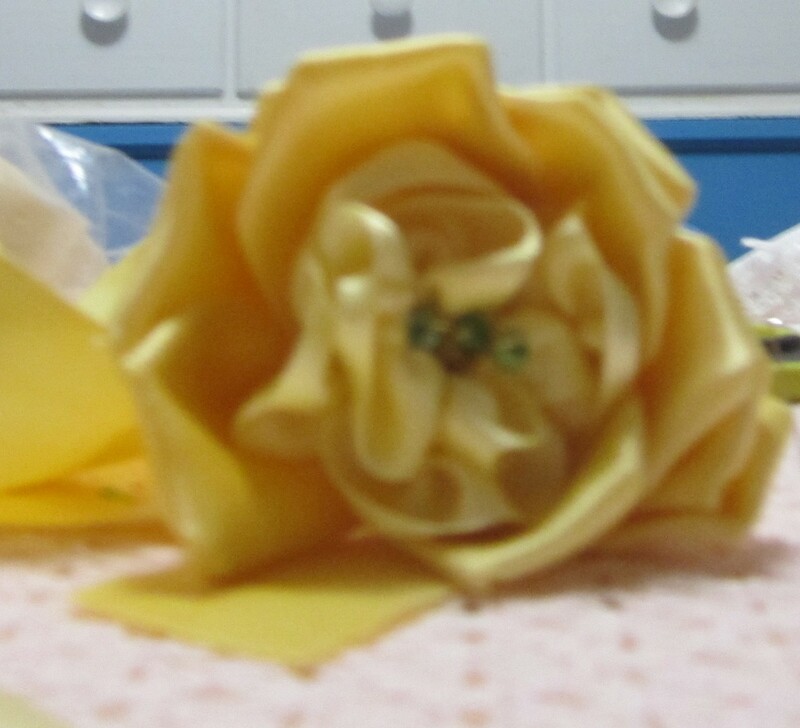 So I started a golden rose. It should be lovely when it is finished.